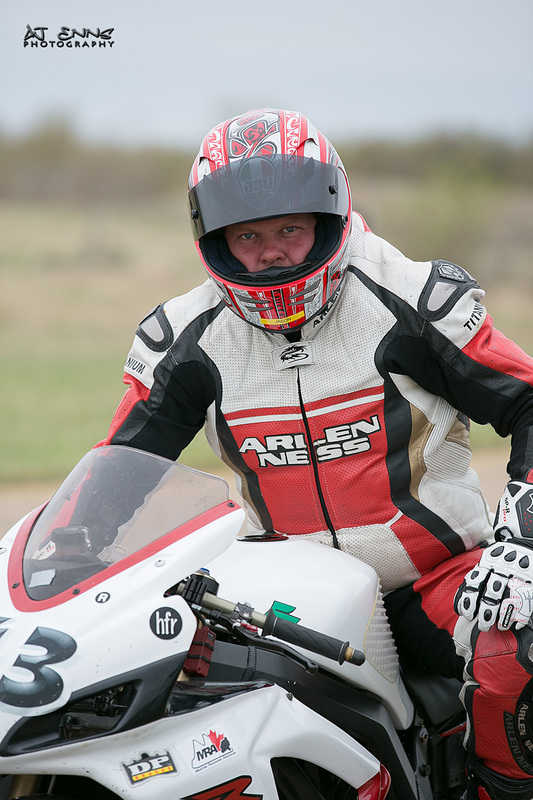 Manitoba Roadracing Association (MRA) track days offer riders a safe environment to experience the thrills of riding on a closed circuit road race course. Track Days are fun and affordable and we offer a clear path from first time rider to becoming a licensed racer. Track Days are by far the funnest most effective way to improve your riding skills on a motorcycle. Track Days are held on a race track which provides a safe environment for riders to improve their skills. There is no need to worry about cars, potholes, curbs or any other hazard of riding on the street. All types of motorcycles are welcome at our events. Sport bikes are the most popular but there are also those who ride sport tourers, super motards and adventure bikes. Track Days are not racing, you cannot win a track day but you can certainly lose by crashing. We all have to begin somewhere and there will be riders of varying skill and speed. Track Days are about improving your riding skill, increasing your corner speed and consistency around the race track. Track Days will make you a safer street rider. Riding on the track will teach you how to brake harder, corner comfortably at high rate of speeds as well as gain trust in your motorcycle and riding abilities. All of these skills can be safely practiced on the track and are put to use on the street when a corner tightens more than expected or a car suddenly pulls out in front of you. Our Novice group ranges from novice street riders and first time track riders to moderately experienced track riders. Our skilled instructors will lead and instruct riders in order to develop essential street and track riding skills. After several novice track days most riders can confidently advance from the novice group to the advanced group. Our Advanced group is for advanced track day riders which can range from the faster track day riders to former racers. The advanced group is no longer led by our instructors and riders are generally more comfortable with passing. This group is intended for experienced riders.